What was the Reason to Replaces Vettori? What Gary Kirsten Has to Say? 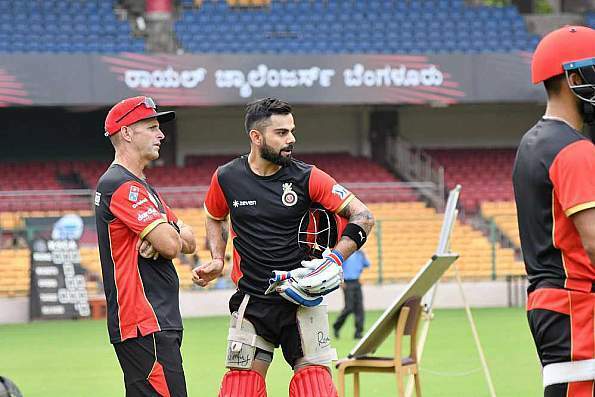 Daniel Vettori got replaced by the former Indian coach Gary Kirsten as a head coach of Royal Challenger Bangalore (RCB) for Indian Premier League IPL 2019 on Thursday. Kirsten was involved with the team as a mentor in the last session, He is the one who has led India in the world cup 2011 and also mentored Virat Kohli very closely since his early days. The appointment of Kirsten means the association of Vettori with RCB for eight years has come to end. Team chairman Sanjeev Churiwala says “ We wish him all the very best for his future endeavors, It has been a great eight years journey with Daniel Vettori. On the other side, we are very happy to appoint Gary Kirsten as a head coach and mentor for RCB. What Vettori has to say, who was handed a contract with RCB in the fourth session of IPL. “I wish all the very best to the team and the players for moving forward, I am very grateful to have eight long years with RCB, as a player and a coach”. For the same RCB didn’t specify any specific reason for replacing Vettori but failing to win a single trophy and getting knocked out might be the reason behind the change. But we cannot put all the failure of RCB into Vettori. Together their power-packed batting lineup failed in 2018 and that put pressure on bowlers. Who fails to deliver their best on many occasions. This year IPL 2018 RCB finished sixth in the table, while last year they were at the bottom of the table. In 2015 RCB had reached the playoffs and ended runners-up in 2016. And in 2014 they had a disastrous knockout finishing at the 7th spot. Gary Kirsten has a very good no. of coaching experience, besides coaching team India, Kirsten has 10 years highest level of coaching. For two years he had coached South African Cricket team, head coach in T20 for three sessions and before joining RCB one session at Hobart Hurricanes. We can say he has brought a wealth of experience by playing close to 700 games, scoring close to 40000 runs across all the format. Churiwala said “ Gary has been a great mentor in both sessions and for young players of RCB, during the last IPL session. ” In the last session of IPL mentoring RCB under Vettori was amazing, it was a wonderful experienced for me”. He further added I am looking forward to being with RCB once again and doing my best to help the team to reach its highest potential.